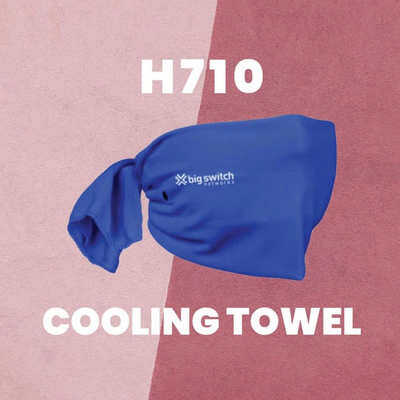 This Very Kool Cooling towel is ideal for any hot day for towelling off after a Yoga or Pilates Class. Simply Wet, Wring, and Wear, the towel allows cool air to stimulate cooling; wearing a wet towel can lower your core temperature. The Very Kool Cooling towel is a hyper-evaporative material that`s the latest in cooling innovation; this towel retains water while remaining dry to the touch to provide cooling relief. The Very Kool Cooling Towel is the best way to battle big time heat from a walkathon to a construction site. Colours: Blue, White, Orange, Lime, Red, Purple, Black, Dimension: Approx 880mm w x 300mm h. Price includes : 3 Day Service * Screen Print - One Colour/Location. Setup is included.